I’ve been bottling the odd jar of tomatoes here and there over the summer, when I had too many from the garden to use. 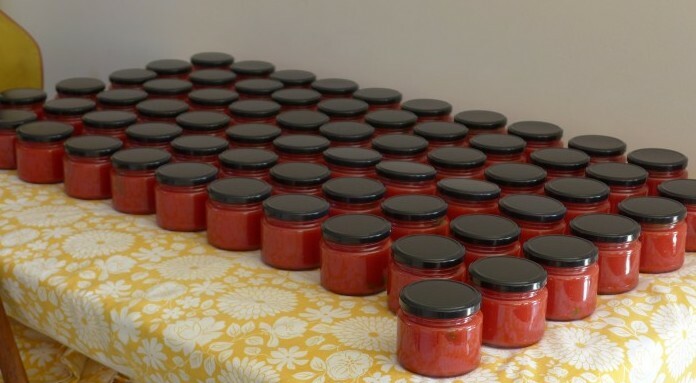 But I upped the scale of bottling massively this weekend by spending a good part of Sunday bottling tomato puree at my friend Susan’s house. 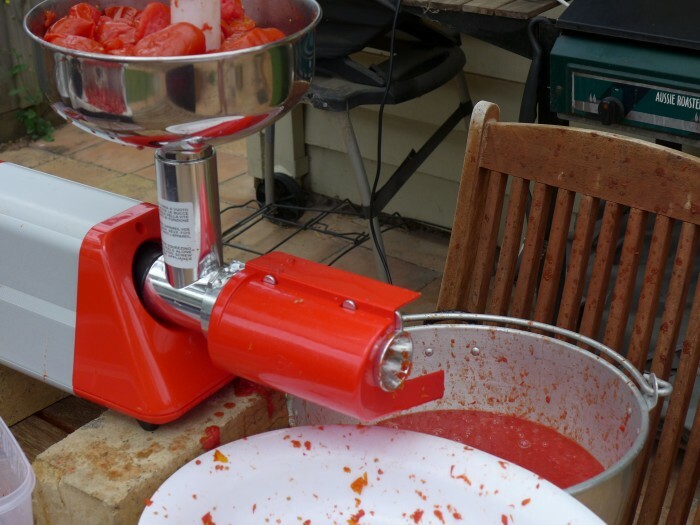 Susan (aka Saucy 7) is the part owner of a tomato passata making machine, which makes doing this on a grand scale feasible. I cannot imagine doing this by hand except for a jar or two. We’ve done this larger scale bottling for the last few years. It is fun, messy, completely exhausting and we get to the stage where if you ever see another tomato it will be too soon. 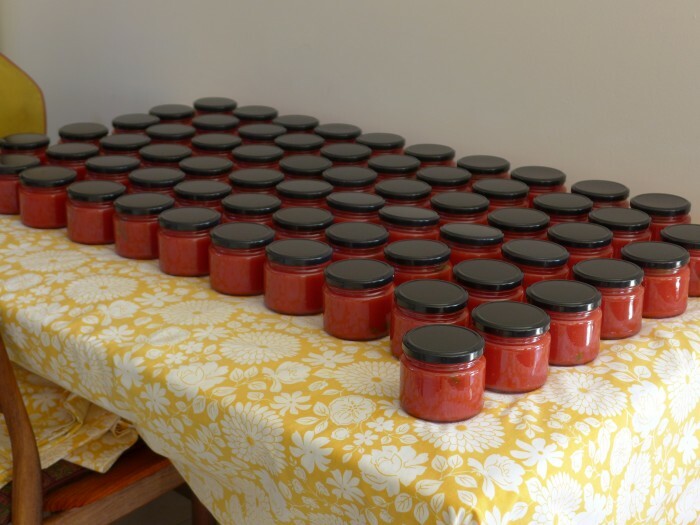 Our haul was 67 jars from 32 kilograms of tomatoes, plenty to last us both through the winter. Here’s the day as it unfolded, washing, boiling, draining, pureeing, bottling and sterilising! We also stopped halfway for a delicious lunch of rice, veg and a tahini miso dressing which I will write a blog post about soon. Getting our equipment sorted. It is always a challenge to put the machinery together after a year. The manual is in Italian only. 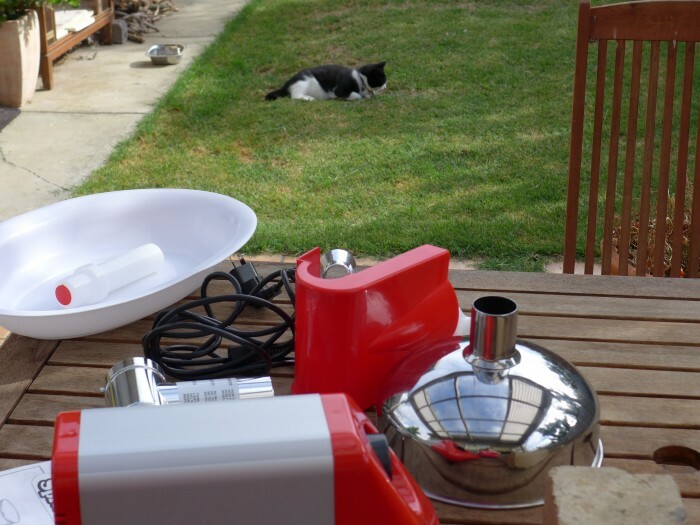 Minnie the cat was most helpful by being decorative all day…but her Italian language skills are nil. 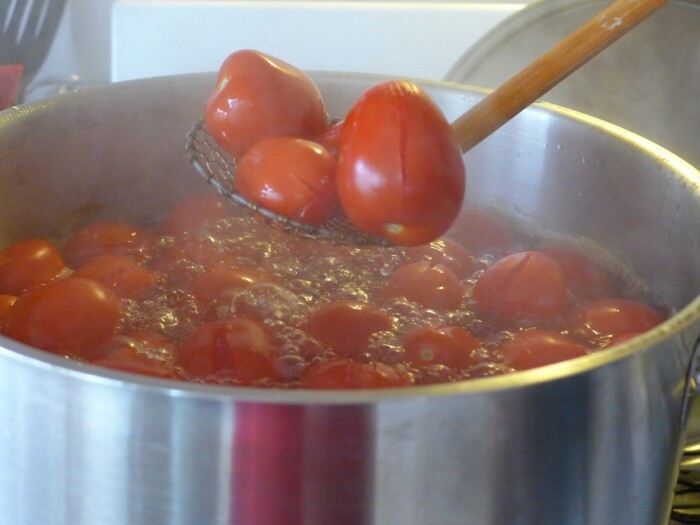 After washing and slashing the tomato skins (and of course my finger at one point), we set the tomatoes to boil, to soften and loosen the skins. 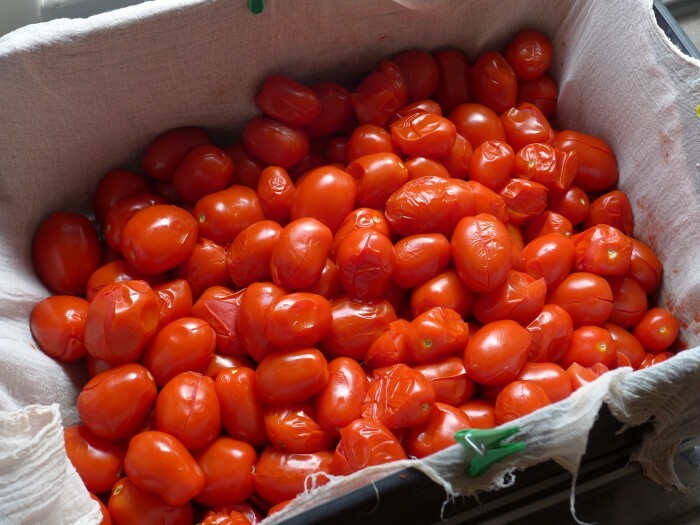 We then drained the boiled tomatoes in a crate lined with cheesecloth. 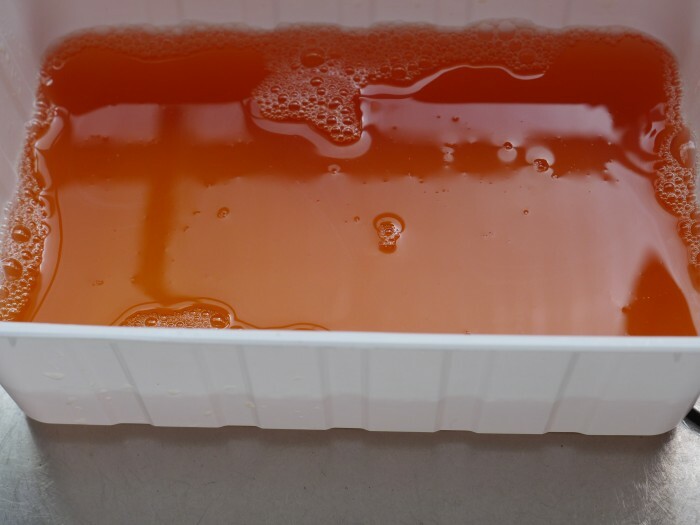 The liquid that runs out is tomato flavoured stock good for cooking risotto and pilaf, so we put a tray underneath to catch 4 containers of goodness. We were tired by now and stopped for lunch. 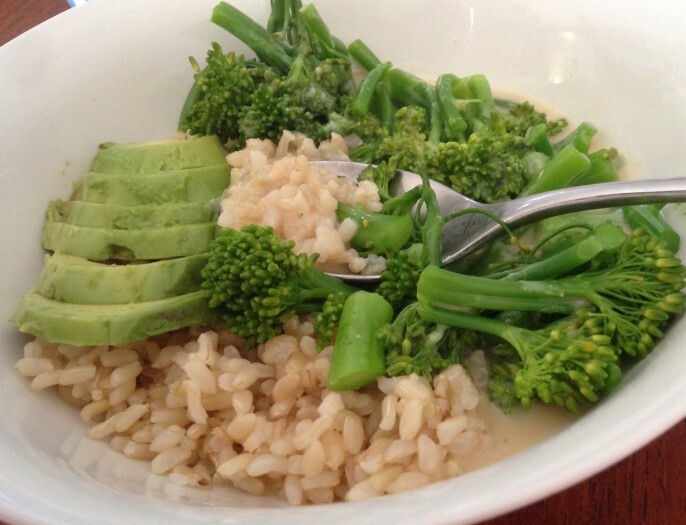 The miso-tahini dressing on this veg and rice was deliciously cheesy. That has set me thinking about possibilities which I will blog about soon. 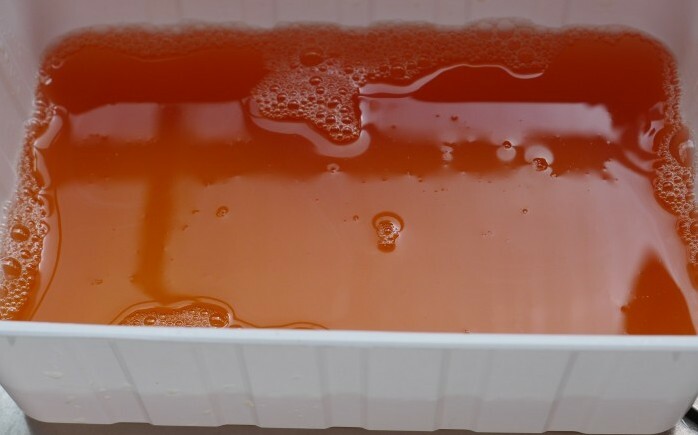 Pureeing in action. A huge mess. We were both covered with tomato splatter. I wisely wore a red t-shirt, my black pants didn’t fare so well! 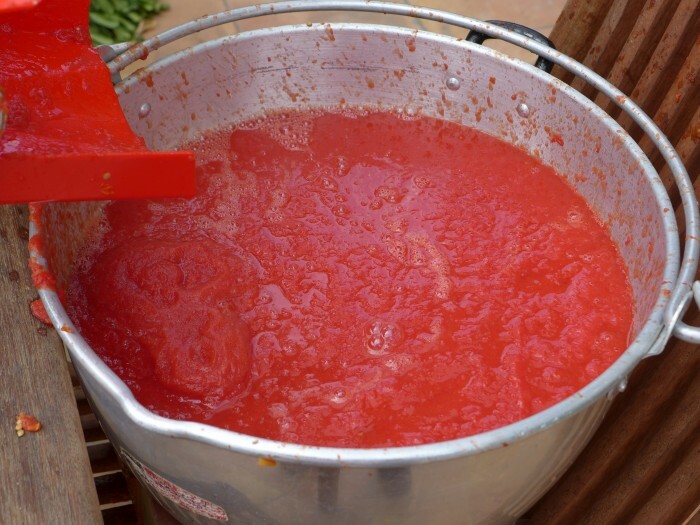 Here is one of several vats of puree that we produced. 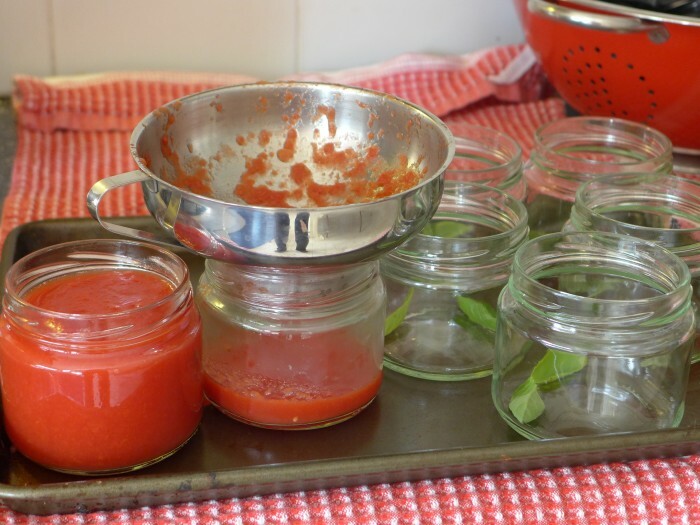 Next, filling the jars – we also dropped some basil into each jar. All filled and ready to sterilise. All in all a fun, but exhausting day. I couldn’t look at a tomato for a couple of days afterwards…but I know I’ll be happy to see them in winter. This looks like fun – and how lovely to have jars of tomatoes you have bottled yourself – I gather you bought the tomatoes rather than grew them? And did you buy your own jars? I can’t say I am set to do this myself but I wish I could say I was. Hi Johanna, jars and lids are from Plasdene in Preston http://www.plasdene.com.au. They require a minimum order of around $120 which is quite a few jars so you might want to order with a friend (or 2). Yes Johanna the tomatoes were bought, I do have a lot but not quite that many! I see my preserving partner Susan has already replied to you jar query.